Two years ago I organised a successful Booklympics feature while the Summer Olympics were on. Within a week of them finishing I had an idea for another large feature to coincide with the World Cup. Over the past two years the idea has kept recurring in my mind to the extend that if I don't organise this feature month, I may just go insane....of course there is the chance that doing this may cause my sanity to be questioned anyway! I'm a huge sports fan, but don't worry you don't have to be to take part or enjoy this feature. 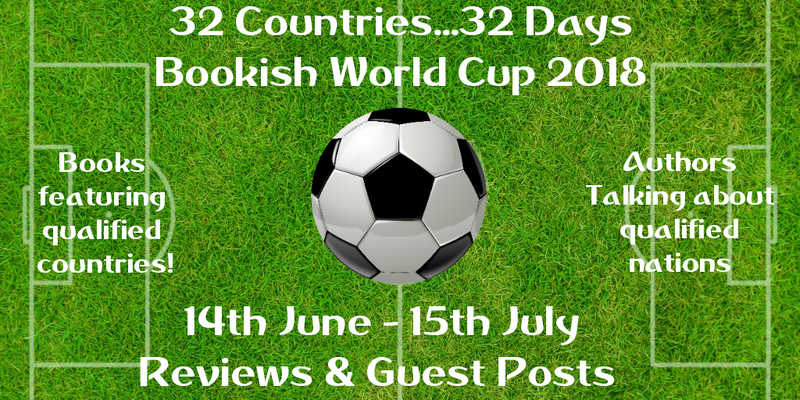 So what is my Bookish World Cup? 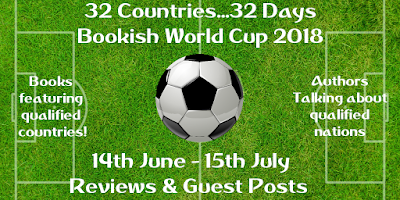 For each day of the world cup, I will be focusing on one of the qualified nations - and I hope to have guest posts by authors talking about aspect of these countries, or about their books set in the country, or why it is they want to visit such a place...all that sort of thing. I will also be reviewing some books featuring these countries - I am not promising to read for all the countries, I predict I may not have the the time, but will try and see what I can find and what appeals. Same dates as Russia 2018 - 14th June - 15th July. This is where I need your help, guest posts from authors, are going to be the bones of this feature, and as such I would like to start organising this now. If you are able to write a post about any of these countries, and of course you can promote your latest book, or relevant book with it, and can get the post to me before 1st May, then I would love to hear from you on gilbster at gmail dot com <-- with what country you are volunteering for etc.. So these are the countries (I will pencil in names as I get them for each country - I want 2 only per country. If this works it could be an epic month of books, bookish posts on the blog all while I watch as much football as I can from the comfort of my sofa, taking in the advantage of working from home, so will be able to enjoy my love of sport at the same time.